In keeping with the French theme, there is a champagne lounge that is part of one of a new Las Vegas restaurant, which is called Napoleon's. If you buy a drink during happy hour, you will also be allowed to eat at the carving table, which has delicious meats and fresh rolls. This is a relaxed place to unwind and chat with freinds. Soothing jazz and the chink of champagne glasses fill the room with sound. 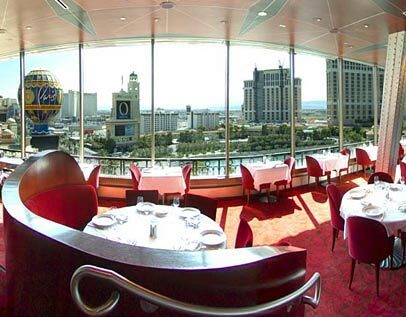 There are not many Las Vegas restaurants that can match the decor and excellent drinks of Napoleons. Dress Code: Moderate to Elegant suggested. Valet Parking: Yes, at the Paris Hotel.